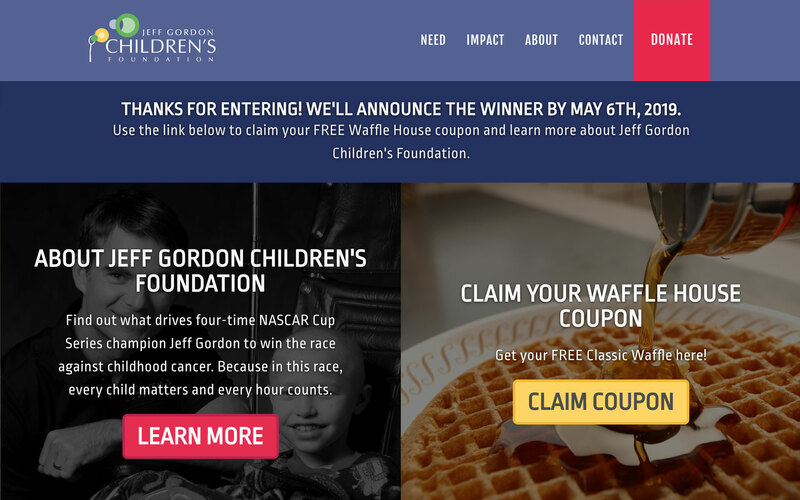 Our client, Jeff Gordon Children's Foundation, partnered with Waffle House corporate to run a joint sweepstakes campaign called Waffles For A Cure. Studio Ten26 was tasked with developing a series of pages to capture email addresses of entrants, with heavy emphasis on mobile display. 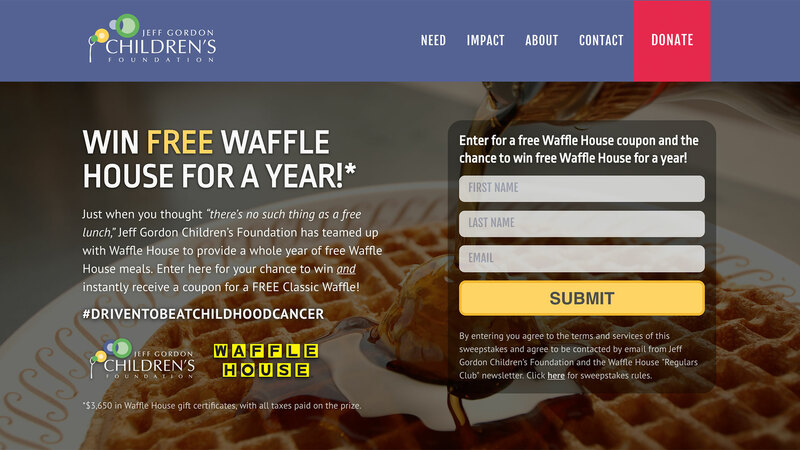 Table tents at over 2000 Waffle House locations instruct guests to visit this landing page, which displays the terms of the sweepstakes, background information, and an email collection form to enter. 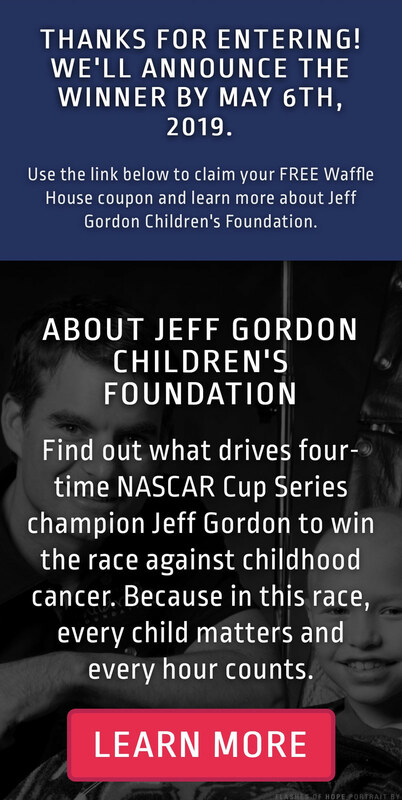 Upon entering their information on the landing page, users are redirected to a secondary page where they can learn more about Jeff Gordon Children's Foundation and their mission to beat childhood cancer, as well as claim their Waffle House coupon. 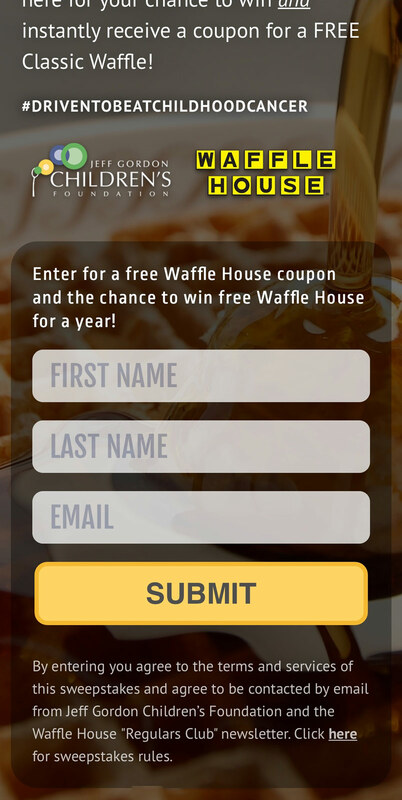 Considering that the vast majority of entrants would be entering the sweepstakes while seated at Waffle House locations, mobile-friendly design was highly prioritized. 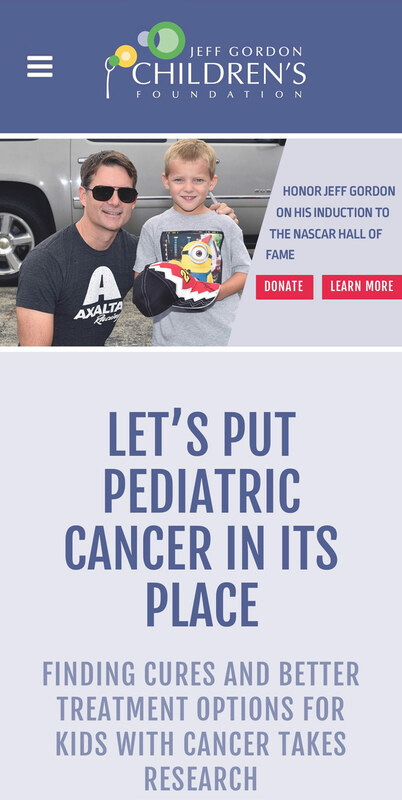 Keeping vertical scroll distance to a minimum while clearly displaying all relevant information was critical to the design of this campaign.